5/2014 Release – Music by Jason Lazo and Tracy Danielle produced by J.Lazo and Christian T. Shorter. Additional environmentally music called Haida by David Huber 51 BPM. 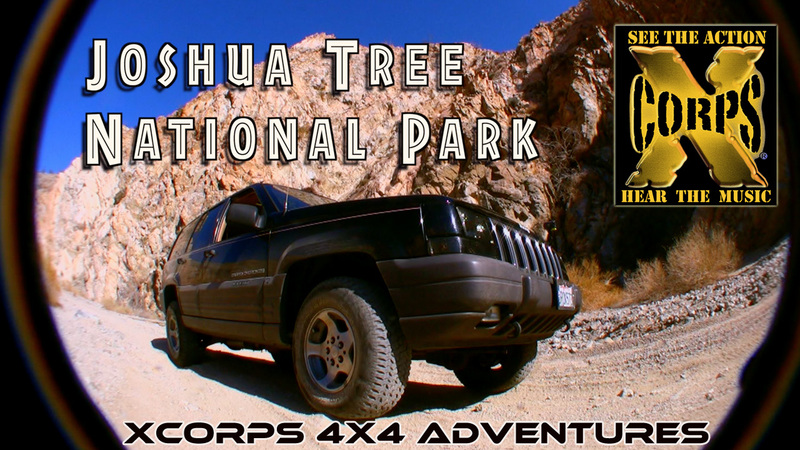 Xcorps 4X4 Adventure TV Presents Joshua Tree – The outdoor adventure continues with this new release from Xcorps Action Sports Television featuring 4X4 off the highway road tour action taking the viewer beyond the end of the pavement this time deep into the back country of the super scenic and remote desert landscape of Joshua Tree National Park. Get into your 4X4 vehicle – sorry NO MONSTER trucks over 6 feet wide – Jeeps are perfect – and get away from it all rolling along the ancient wagon trails of the American West! 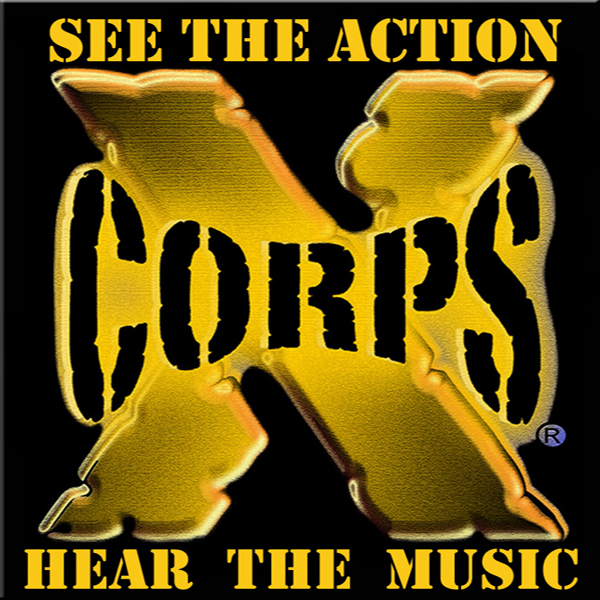 To produce this video the XCTV crew traveled from the beaches of San Diego dropping below sea level at nearby Anza Borrego Desert then to the weathered and worn sun scorched mountains of Joshua Tree Park we bring it to our Xcorps viewers. As National Parks go Joshua Tree is one of the most recently added – 1994 – National Parks setting aside and protecting an ancient desert landscape that is not only scenic but also contains a very high plant diversity. Altititude and rainfall differences account for this wide range of species. Driving slowly along the old wagon roads in the SE quadrant of the park with external HD X Cams rolling to capture the road and beautiful vistas for this video production. Check out the LONG zoom back off the 2 rock climbers! Also check out the video shot while hiking Joshua Tree hike trails at Jumbo Rocks and Skull Rock miles of weather sculptured rock forms. These cinematic scenes were shot mid winter complete with blooming wildflowers slowly blowing in the wind and the namesake and somewhat mystical desert Joshua Tree somehow surviving and actually thriving the harsh yet utterly beautiful environment in all its sun drenched glory captured by XCTV cameras! To get these sweet shots the Xcorps TV camera vehicle a ‘96 Jeep Grand Cherokee rolled solo along Berdoo Canyon road encountering NO other vehicles during the 30 or so mile full week day recon detour off the standard Geology Tour ‘4X4’ road taken by most traveling the park back country. This video documents the 4X4 trail Berdoo Canyon Road which drops dramatically through a rocky narrow canyon in the remote Hexie mountains eventually hitting pavement at Dillon Road as shown in this video! This north south trail crosses the desert flats of the Indio Hills running alongside the San Andreas Faultline terminating at route US 10 Coachella California! NO other people, buildings, park rangers or other vehicles were seen for most of the exploration day on this remote dusty road with perfect sunny winter 80 F temps. Nice! Not all that many remotely scenic less travelled roads around in National parks! The music is sweet and mellow in this XCTV 4X4 video! Special Thanks goes to the artists for the song “Desert Breezes” performed by Jason Lazo and Tracy Danielle produced by J.Lazo and Christian T. Shorter. Additional environmentally perfect music called Haida by David Huber 51 BPM. If you as an XCTV viewer decide to follow Xcorps TV on your own adventures don’t forget a big cooler with plenty of food, water, clothing, cameras and solar batt chargers and roll only in a solid high clearance 4×4 mid size vehicle! No monster trucks! Lots of great rock climbing and hiking places for all levels throughout the park. Joshua Tree National Park exemplifies the word Geology with climactic weathering seen in the wild sculptural rock formations found throughout the park. These ‘sculptured’ rocks along with the Joshua Trees growing among them makes for a truly cool and unique zone to eXplore! This film is also one of the first XC videos edited in the new Mac Final Cut Pro X video edit platform which DOES ROCK no matter what is said! Check out these new super clean cinematically phat HD edits! These scenes were shot by XC using Sony HD cameras including the new Sony HDR AS series Action POV cameras now competing with GoPro on so many levels! XCTV uses Sony…sorry no GoPro’s! This is a new offroad ride for Xcorps TV viewers…Stay Tuned for the next 4X4 release!